This past July 29, Law 25/2015 of July 28 was published in the BOE (Official State Bulletin) regarding the second chance mechanism, reduction of financial burden and other social measures, which were regulated in final provision eleven of Law 14/2013 in support of Entrepreneurs and their Internationalization. By virtue of this modification, an even more favorable framework has been established to ease the obtention of a permit of residence for Investors and Entrepreneurs in Spain for citizens of countries that are not members of the European Economic Area or Switzerland who make investments under this law, or who are going to undertake a project in the country. The condition that required the investor to obtain a visa at the Spanish Consulate corresponding to their country of origin prior to making the request for residency has been eliminated. 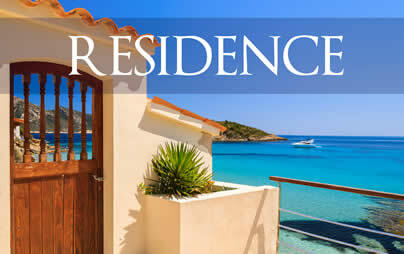 In this way, a person making any of the investments specified in the law and who is legally in Spain may solicit authorization for residency without having to leave the country. Now, initial residence permits for investors can be renewed for successive periods of five years, instead of the two years established in the repealed regulation. The investor or entrepreneur who has a residence permit, or with the right to same, may now include their ancestors or dependent children of majority age as their beneficiaries, as well as any person with whom they have a relationship similar to matrimony, which means life partners are recognized. As such, the situation which arose when the investment was made by a married couple under community property laws or a similar situation and the amount of same did not reach twice the threshold required has been clarified, considering that the investment is made by one of the partners, which allows the other to request a residence permit as a family member. Requesting a residence permit is allowed in the case of buying a property or properties, even when this has not been formalized, but where a preliminary contract exists containing performance guarantees via a deposit or by other means allowed by law and certified by deed. The figure of representative as designated by the investor is established, having the responsibility for management of a project under the terms established by law, giving this person the right to request a residence permit as an investor. The aspects of a business project that will be evaluated beforehand, which the interested party must present as a prior requirement in order to be given a residence permit as an entrepreneur, is clearly defined. Paperwork will be simplified for the individual in question by means of establishing a separate window in the Large Businesses and Strategic Collectives Unit at the Immigration Department of the Ministry of Employment and Social Security, who will then officially request the positive report that must be issued by the International Business and Investment Department of the Ministry of Economy and Competition regarding the project to be carried out in the country. To sum up, the modifications outlined above represent a serious effort to consolidate a legal immigration framework aimed at becoming a key factor in attracting investment to Spain.